I’ve enjoyed living here so far. Staffing is great and always willing to help. It’s a good area and it’s around a lot of place and close to everything you need. We have lived here for 2 years and are very happy! The place is always being cleaned and kept up well and I always feel safe. We love the dog park the most! Staff is punctual and friendly. Area is close to stores and malls, Room is nice, with a view from above. Parking takes a skill of tactical strategy. It is a nice apartment to live . Wish there were more parking expanded. Sometimes it is hard to find a parking space. Especially, on the weekends. I have had a great experience so far. Love the location and the staff has been super friendly! I love the updated feautures in the apartments such as the laminate flooring and the fixtures. Good place to live. Friendly staff. Fun pool cleaned regularly. Live there for 2 years and enjoyed it. Pet friendly and have a dog park. Close to shopping areas but far enough to be quiet. So far it’s been great. My townhouse is perfect and I absolutely love it. We will see if it continues throughout the rest of the lease. I think everything will be great. 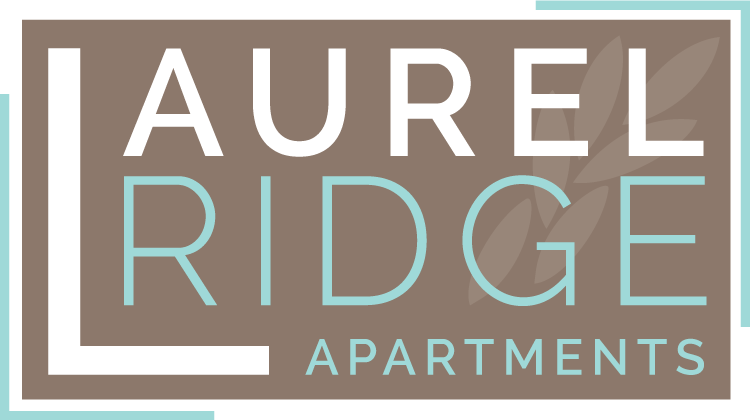 I love living at laure ridge it’s a great first start and it’s something to be proud of love the area and how close i am to things i use daily. While there were quite a few maintenance issues when we moved in (electrical outlets not working, AC unit not working, unhinged cabinet doors, improperly laid floors), the apartment overall is nice and maintenance responds very quickly to requests. Always felt safe here and never had issues with anyone. Just moved in. All of the staff in the complex are friendly and accommodating. Very well kept grounds and landscaping. Looking forward to my time spent here. General service and maintenance has been exceptional. Even though the unit has been upgraded, you can still see the age of the community very well. Parking can be a hassle as there isn’t assigned parking. (makes it difficult when your neighbors have more than 2 vehicles or friends who stay over a lot). I really like it here. If you have a problem and put a work order in the maintenance guys are really quick to come out. The office staff is so nice! We are just moving in but right now laurel ridge is so much better then the apartment we were at. The people are nicer, you answer the phone, you maintenance seems to be better. The location is great & the apartments at first glance are beautiful. After living here for 6 months, I’ve noticed a lot of maintenance issues. They are always more then welcome to come fix the problems, but they are always temporary. The building and grounds are very well maintained with regular maintenance staff working around the facility. The staff in the office are warm and friendly. Great, awesome, glorious, nice! Great, awesome, glorious, nice! Great, awesome, glorious, nice! Great place to live!! Great place to live!!! I love the area where I live. I am in a central location to everything. The staff is friendly and very helpful. It quite yet a kid friendly environment. Overall pretty good. I dig the community and being close to 153 is convenient. Also, the gym is a nice feature but needs some updating. That's about it. I've not lived here long, but in the short time I've lived here I met a couple of residents. They both have dogs and they allow me to interact with their pets as I no longer have my dog. Also, I fell and was aided by total strangers, thank you new friends. I requested some minor maintenance and on Monday it was done. I'm warming up quickly to my new community. Starting to feel like home. Laurel is a quiet, friendly complex. Everyone says hi and I've never had an experience with loud noise or neighbors. Pets are well behaved and cleaned up after.